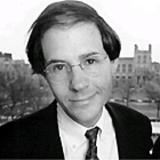 A couple of years ago, Cass Sunstein joined the ongoing debates about the death penalty and deterrence. In his piece Is Capital Punishment Morally Required: The Relevance of Life-Life Tradeoffs, posted on SSRN in March 2005, he used the scholar's conceit: putting out a claim of possible truth with the goal of building out an argument assuming arguendo that that the claim was indeed true. In this case, his claim was that there is a "large and growing body of evidence" that capital punishment deters (and he described this evidence as "powerful" and "impressive") and he argued that if this evidence "is even roughly correct", a refusal to execute will results in the death of many innocents. After admitting that "there is always residual uncertainty in social science and legal policy", he concluded that "if those finding are ultimately shown to be right, capital punishment has a strong claim to being...morally obligatory." Sunstein carefully crafted his piece so that he never stated that he accepted the veracity of these studies, but the very act of creating this article - an act which generated a torrent of debate in legal scholarly circles - had the effect of accrediting this data. How much? Enough that Justice Scalia cited this piece extensively in his Baze v. Rees concurring opinion upholding lethal injection . Sunstein must be uncomfortable with his new role as proof provider of the efficacy of death because today, in the Washington Post, he issued a punch line undermining the whole motivation of his original article. "In short", he wrote, "the best reading of the accumulated data is that they do not establish a deterrent effect of the death penalty." Admittedly, Sunstein's act of assuming the veracity of these studies generated serious scholarly work criticizing (and some would say undermining) these finding on deterrence. But as is clear from the very fact of Scalia's citation, Sunstein's choice to provisionally accredit the research had the effect of providing it a valuable endorsement. Most of us could only dream of our research wielding such power. No matter how much I yap about the racially disparate impact of Megan's Laws, it doesn't seem like anyone is paying much attention. But much as it may seem like we're yelling into a vacuum, sometimes we're not. Articles can have consequences. It's better to figure that out early on than to discover it later. Maybe Cass Sunstein wanted to star in Scalia's defense of capital punishment but, based on my reading of today's WaPo, I'm thinking not. Seems to me that if, indeed, the Court (both the majority and the dissent) has ascribed a conclusion to Sunstein's (and co-author's) work that that work does not in fact endorse, there are only two conclusions: 1) the Court (and its clerks) are unable to comprehend the articles to which they are citing, or 2) the Court is manipulating the sources to strengthen the respective opinions. If it is the later (as seems likely), it is both disappointing and a boon to legal realists. Neither is an essentially appealing option, and quite frankly this should be a source of embarassment for the Court. This goes beyond mere stretching of a prior opinion, to misstating of what is essentially an empirical claim. John, it strikes me that the Court is using evidence here much as high school and college debaters employ it. You get the quote, you cite it for whatever your point, and you leave it to the opposition to call you on your BS. Interestingly, it's tough to call Scalia on it because he ducks the full claims in the same manner as Sunstein. After pointing to the "signficant body of evidence" and the "leading national study" (both quotes, Sunstein) which both establish death as a deterrent, Scalia then concedes that "it may well be that the empirical studies establishing that the death penalty has a powerful deterrent effect are incorrect, and some scholars have disputed its deterrent value." But by the rhetoric punch has landed. "When did you stop beating your wife?" There are some problems with the recent article by Sunstein. The article states: "But that suggestion (of the many recent studies finding for deterrence) actually catalyzed Donohue and Wolfers's study of available empirical evidence. Existing studies contain significant statistical errors, and slightly different approaches yield widely varying findings, a problem exacerbated by researchers' tendency to report only those results supporting their conclusions." REPLY: ". . . researchers' tendency to report only those results supporting their conclusions."! My goodness, this seems much like the pot calling the kettle black. Please see the four replies to Donahue and Wolfers, at bottom - replies which, collectively, appear to lay waste to Donahue and Wolfers criticism. It should also be pointed out that Donahue and Wolfers chose not to publish their criticism in a peer reviewed publication. The article continues: "In short, the best reading of the accumulated data is that they do not establish a deterrent effect of the death penalty." REPLY: I think it is arguable that is an unfair reading of the data. My take is that it would be more accurate to state that the social science of determining the measurable effect of general deterrence is challenging, at best. The strength of the recent econometric studies is suggestive of a deterrent effect of the death penalty and the criticism of those studies seems much less robust than the studies, themselves. In general terms, the weight of the evidence is that all prospects for a negative outcome deter some. There appears to be few, if any, exceptions to that rule. The article continues: "But as executions resume, the debates over the death penalty should not be distorted by a misunderstanding of what the evidence actually shows." REPLY: Again, it appears that misunderstanding is, precisely, what this newest article was distributing, however unintended. The article continues: "A prominent line of reasoning, endorsed by several justices, holds that if capital punishment fails to deter crime, it serves no useful purpose and hence is cruel and unusual, violating the Eighth Amendment." "While some favor the death penalty on retributive grounds, many others (including President Bush) argue that the only sound reason for capital punishment is to deter murder." REPLY: The lack of balance or understanding by S&W appears quite robust. There are many well defined reasons for criminal sanction, outside of deterrence. Retribution, justice, upholding the social contract, incapacitation, among others. Obviously, capital punishment does not violate the Eight Amendment, as both the 5th and 14th Amendments assert the constitutionality of the death penalty. These are well known and important facts, not in S&W's article. Both the current Pres. Bush and former VP Al Gore stated they support the death penalty because of deterrence. However, it is important to clarify. Does anyone believe that either Gore of Bush would support the execution of someone if it wasn't deserved? I suggest the answer is no. It's a fair question. Ask them. Then ask them, if the death penalty did not deter like men as Bib Laden or Hitler, would you still support their executions? Does anyone not know their answer? Of course not. The article continues: "We concur with Scalia that if a strong deterrent effect could be demonstrated, a plausible argument could be made on behalf of executions. But what if the evidence is inconclusive?" REPLY: Inconclusive? The weight of the evidence is that some are deterred by any prospect of a negative outcome. But, let's project an imaginary world where the evidence is completely neutral on the effects of negative prospects, where there is no evidence of what incentives mean to behavior. We have two equally balanced prospects. The death penalty/executions deter and the death penalty/executions don't deter. This prospect is neither inconclusive or equally balanced, because you have a prospect between sparing innocent life, via death penalty/execution deterrence or a prospect of death penalty/execution, with no deterrence, but enhanced incapacitation. If deterrence is inconclusive, the prospect of saving innocent lives is not. In addition, the deterrence calculus becomes- we execute and save additional innocent lives (via deterrence) or we execute and don't save additional innocent lives (via deterrence). The weight falls upon saving additional lives, if we have inconclusive data, because the weight is greater for saving additional innocent lives than on not saving additional innocent lives. With this type of calculus, the only argument for not executing is if the evidence is clear that the death penalty/execution is sacrificing more innocents, via brutalization. I have, intentionally, left out the brutalization effect, for a variety of good reasons, which others may not find justified. As noted, there are a number of good reasons to argue in favor of the death penalty, other than deterrence. Even if the death penalty is a very marginal deterrent, it is still a robust argument in favor of the sanction. Let's say that every four executions deters one potential murderer and every twenty death sentences deters one potential murderer. That would mean that around 650 innocents had been spared since 1973. Even marginal deterrence equals major benefit. This does not take into account the two other ways that the death penalty saves additional innocent lives. Enhanced incapacitation and enhanced due process. Abstract: The academic debate over the deterrent effect of capital punishment has intensified again with a major policy outcome at stake. About two dozen empirical studies have recently emerged that explore the issue. Donohue and Wolfers (2005) claim to have examined the recent studies and shown the evidence is not robust to specification changes. We argue that the narrow scope of their study does not warrant this claim. --- The criticism of our studies is flawed and does not effect the strength of the measured deterrent effect. (2007) "Had (D&W's) paper been subjected to the normal blind peer review process in an authoritative economic journal it is highly unlikely that it would have survived intact , if at all. " "(D&W's) Quibbling over numerous and sometimes meaningless statistical issues obscures the picture painted by the cumulative effect of the nearly dozen studies published since the turn of the 21st century." "Using differing methodologies and data sets at least five groups of scholars each working independently (and often without knowledge of the others) have arrived at the same conclusion—there is significant and robust evidence that executions deter some homicides. While there may be merit in some of (D&W's) specific criticisms, none addresses the totality of the collection of studies. The probability that chance alone explains the coincidence of these virtually simultaneous conclusions is negligible." "DW’s unsupported claim that the appropriate variable in studies of deterrence using these borrowed tools from portfolio analysis is the amount or level of homicides in the respective jurisdictions. This claim is without theoretical basis or empirical precedent. " "With regard to DW’s specific comments on our two papers (Cloninger & Marchesini, 2001 & 2006) we find very little requiring defense. Implicit in their critique, and explicitly stated in private communications, DW were able to replicate our results based on data we furnished, at their request, as well as data they acquired independently. " I agree wholeheartedly with your points, although I think it is appropriate to call Scalia on it because, as you said, his point is made as soon as he cites it the first time. This is why I can never quite bring myself to have the admiration for Scalia's intellect that others do - he so often undercuts his obvious brilliance with cheap stuff like this. It's like Barry Bonds taking steriods - he doesn't need to do it to be a Hall of Famer, but he does, and it costs him esteem. In my eyes, anyway.